When I think of family . .
That was the prompt for a writing exercise on Saturday. My thoughts were all positive. I know that’s not the norm for everyone, it was good to be reminded that it is the norm for me and be grateful for it. Lunting – a match; the flame used to light a fire; smoke or steam, especially smoke from a tobacco pipe; walking around while smoking a pipe. A suggestion from Otago University academics that a tax on meat is needed to highlight to New Zealand consumers the environmental cost of production has been rubbished by the meat industry. Consumer and food science researcher and PhD student Garrett Lentz said research shows many NZ consumers are unaware of the environmental impact of meat production, which could lead to high rates of consumption and accentuate the cost to the environment. A team of researchers found retail cost and potential health benefits are the greatest motivation for reducing meat intake, with the environmental impact of production one of the weakest. . .
A key question for MPI and Government to address is how long has Mycoplasma bovis been in New Zealand. The answer to that question, together with MPI’s capacity to upscale their operational capacity, will largely determine whether or not eradication is going to be successful. If, as the Government now believes, Mycoplasma bovis first arrived here around December 2015 or January 2016 on the Zeestraten property in Southland, then it is reasonable to hope but not necessarily expect that the eradication program will be successful. But if it was here prior to that, then eradication becomes an increasingly long shot. Another way of describing it is that, in the battle between Mycoplasma and MPI, it is the head-start that counts. For each year that the disease has been here, there will have been an exponential spread of the little stealth bombers. . . The government has entered the fight against Mycoplasma bovis all guns blazing with a promise to spend almost one billion dollars trying to eradicate the cattle disease. Whether it will succeed remains uncertain. While a technical advisory group said eradication was “technically feasible”, its decision was hardly unanimous. The group of mostly overseas experts brought together by the government came out six to four in favour of the move. Its chair, Scott McDougall, told Insight the dissenting opinion was based on the uncertainty surrounding just how many cows could be infected. . . Regardless of the clinical impacts of Mycoplasma bovis (M. bovis), now that phased eradication is being pursued, beef farmers need to treat M. bovis extremely seriously. If infection is detected in your herd, it will be accompanied by whole-herd depopulation. Importantly, if you have a beef breeding herd and also rear bull beef or dairy beef steers, you are strongly advised to keep your breeding herd entirely separate and run as a closed herd. Keep very good records of herd separation so that if infection is introduced with animals purchased for rearing, then response measures may only apply to those animals in contact with the purchased stock. . .
Derek Bailey and his cohorts have been wondering – do your cows like to hike in the mountains? This is just one aspect of research that the New Mexico State University professor and researcher, along with others has worked on since the 1990s to help determine if there are genetic variances between cattle that are willing to “work for their dinner” and those that aren’t. He will present his latest findings at the Beef Improvement Federation annual convention in Loveland, Colorado, June 20-23. Fellow grazing distribution researcher Milt Thomas with Colorado State University will also talk to BIF attendees. Bailey uses GPS collars to record the movements of cattle in rugged terrain to learn which cows exhibit one or more of three characteristics: . . .
A dare from his brother to change sheep breeds led Richard and Mez Power to top honours in the national ewe hogget competition. The North Canterbury farming couple took out the Romney section finishing just 0.34 of a point ahead of runners-up Mathew and Amy Middlemiss of Rocklands Station, Outram, before going on to win the overall breeds supreme honour in the 22nd annual ewe hogget competition in Christchurch. The Powers have farmed the family sheep and cattle stud at Hawarden for the past 28 years. . . The New Zealand Rural General Practice Network said a Tourist Tax needed to reflect that tourism was now placing real stress on delivery of rural health services. The NZRGPN is the national network representing the doctors and nurses of rural medical practices across New Zealand. “Tourism is a great thing for the New Zealand economy but managing its impacts goes beyond more toilets and car parks,” said Chief Executive, Dalton Kelly. . . The government has been quick to act on the advice of its chief science advisor Sir Peter Gluckman over meth testing in state houses. Wouldn’t it be good if a similar respect for science was shown for other policy? Had they done so we wouldn’t be facing a ban on off-shore exploration for oil and gas. If they did so, we could have confidence that they making policy changes for the good of the country and the people and not blindly following political ideology. It would be good but it’s very unlikely when we’ve got a government that accepts science only when it suits. How to get the best of it all? One must conquer, achieve, get to the top; one must know the end to be convinced that one can win the end – to know there’s no dream that mustn’t be dared. . . Is this the summit, crowning the day? How cool and quiet! We’re not exultant; but delighted, joyful; soberly astonished. . . Have we vanquished an enemy? None but ourselves. Have we gained success? That word means nothing here. Have we won a kingdom? No. . . and yes. We have achieved an ultimate satisfaction. . . fulfilled a destiny. . . To struggle and to understand – never this last without the other; such is the law. . . – George Mallory who was born on this day in 1886. 618 Li Yuan became Emperor Gaozu of Tang, initiating three centuries of Tang Dynasty rule over China. 1178 Five Canterbury monks saw what was possibly the Giordano Bruno crater being formed. It is believed that the current oscillations of the moon’s distance from the earth (on the order of metres) are a result of this collision. 1264 The Parliament of Ireland met at Castledermot in County Kildare, the first definitively known meeting of this Irish legislature. 1429 French forces under the leadership of Joan of Arc defeated the main English army under Sir John Fastolf at the Battle of Patay. 1757 Battle of Kolín between Prussian Forces under Frederick the Great of Prussia and an Austrian Army under the command of Field Marshal Count Leopold Joseph von Daun in the Seven Year’s War. 1767 Samuel Wallis, an English sea captain, sighted Tahiti. He is considered the first European to reach the island. 1778 American Revolutionary War: British troops abandoned Philadelphia. 1812 War of 1812: The U.S. Congress declared war on the United Kingdom of Great Britain and Ireland. 1815 Napoleonic Wars: The Battle of Waterloo leads to Napoleon Bonaparte abdicating the throne of France for the second and last time. 1858 Charles Darwin received a paper from Alfred Russel Wallace that included nearly identical conclusions about evolution as Darwin’s own. which prompted Darwin to publish his theory. 1859 First ascent of Aletschhorn, second summit of the Bernese Alps. 1873 – Susan B. Anthony was fined $100 for attempting to vote in the 1872 presidential election. 1886 George Mallory, English mountaineer, was born (d. 1924). 1887 The Reinsurance Treaty between Germany and Russia was signed. 1895 Minnie Dean’s trial for murdering a baby placed in her care began at the Invercargill Supreme Court. 1900 Empress Dowager Longyu of China ordered all foreigners killed. 1904 Manuel Rosenthal, French conductor and composer, was born (d. 2003). 1908 The University of the Philippines was established. 1915 Red Adair, American firefighter, was born (d. 2004) . 1920 Ian Carmichael, English actor, was born (d. 2010). 1923 Checker Taxi put its first taxi on the streets. 1927 Paul Eddington, English actor, was born (d. 1995). 1928 Aviator Amelia Earhart became the first woman to fly in an aircraft across the Atlantic Ocean (she was a passenger,Wilmer Stutz was the pilot and Lou Gordon the mechanic). 1930 Groundbreaking ceremonies for the Franklin Institute were held. 1932 – Long-distance walker Esther James reached Bluff. 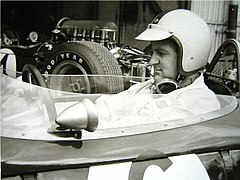 1936 Denny Hulme, New Zealand race car driver, was born (d. 1992). 1936 Ronald Venetiaan, President of Suriname, was born. 1940 Appeal of June 18 by Charles de Gaulle. 1940 “Finest Hour” speech by Winston Churchill. 1942 Paul McCartney, British singer, songwriter and musician (The Beatles, Wings), was born. 1945 William Joyce (Lord Haw-Haw) was charged with treason. 1946 Dr. Ram Manohar Lohia, a Socialist called for a Direct Action Dayagainst the Portuguese in Goa. 1953 The Republic of Egypt was declared and the monarchy abolished. 1953 A United States Air Force C-124 crashed and burned near Tokyo killing 129. 1954 Pierre Mendès-France became Prime Minister of France. 1959 Governor of Louisiana Earl K. Long was committed to a state mental hospital; he responded by having the hospital’s director fired and replaced with a crony who proceeded to proclaim him perfectly sane. 1965 Vietnam War: The United States used B-52 bombers to attack National Liberation Front guerrilla fighters in South Vietnam. 1972 Staines air disaster – 118 were killed when a plane crashes 2 minutes after take off from London Heathrow Airport. 1979 SALT II was signed by the United States and the Soviet Union. 1981 The AIDS epidemic was formally recognised by medical professionals in San Francisco, California. 1983 Space Shuttle program: STS-7, Astronaut Sally Ride became the first American woman in space. 1984 A major clash between about 5,000 police and a similar number of miners at Orgreave, South Yorkshire, during the 1984-1985 UK miners’ strike. 1994 The Troubles: the Ulster Volunteer Force (UVF) opened fire inside a pub in Loughinisland, Northern Ireland, killing six civilians and wounding five. 1996 Ted Kaczynski, suspected of being the Unabomber, was indicted on ten criminal counts. 2001 Protests in Manipur over the extension of the ceasefire between Naga insurgents and the government of India. 2006 The first Kazakh space satellite, KazSat was launched. 2007 – The Charleston Sofa Super Store fire resulted in the deaths of nine firefighters. 2009 – The Lunar Reconnaissance Orbiter (LRO), a NASA robotic spacecraft was launched. 2012 – Salman bin Abdul-Aziz Al Saud was appointed Crown Prince of Saudi Arabia. You are currently browsing the Homepaddock blog archives for the day Monday, June 18th, 2018.